You are probably asking, why is this dog named Rat? Maybe if you were a two year old you would understand. Our little grandson Caleb wanted a dog for Christmas and when I asked him what the dog's name would be, he said RAT. And then he laughed so hard he nearly fell over. He admits it's a terrible name....but he is sticking with it for now. 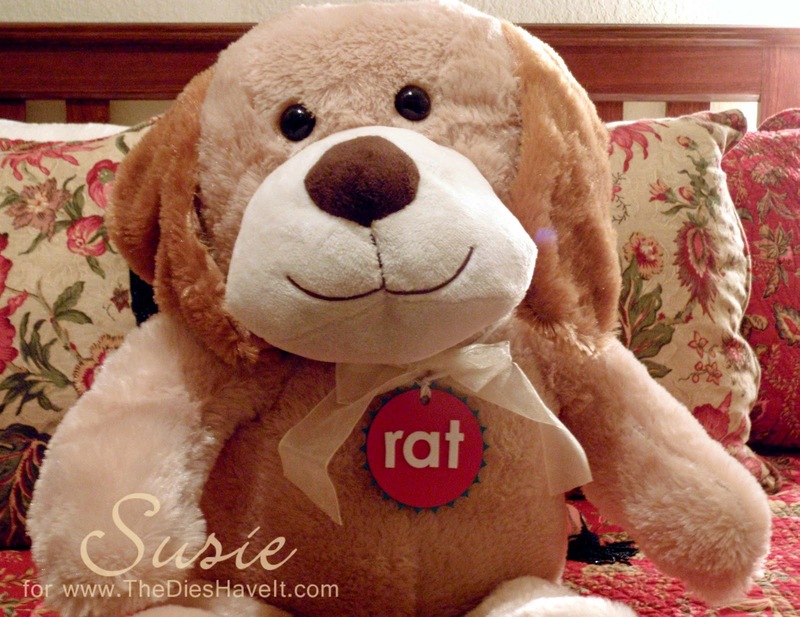 So Grandma was pressed into service to make a name tag with Spellbinders dies.. And that's about all I can say about this dog named RAT. But I'll see you tomorrow for sure.